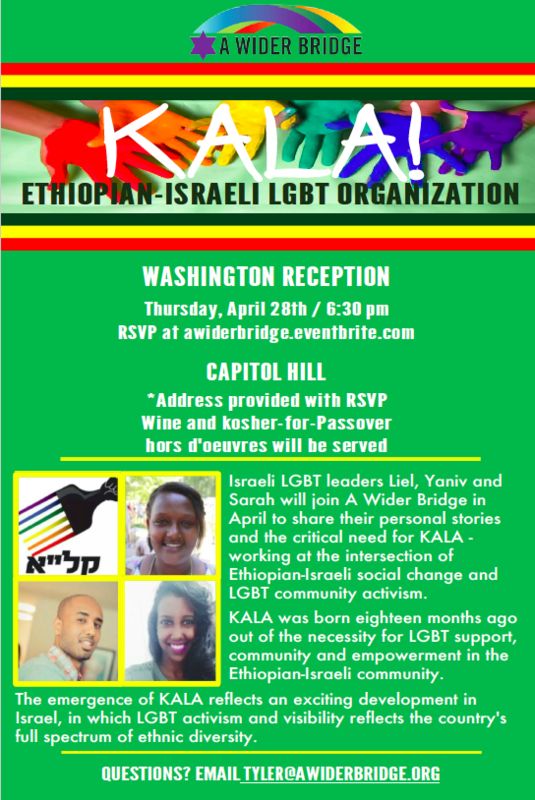 Israeli LGBT leaders Sarah, Yaniv and Liel will join A Wider Bridge in DC to share their personal stories and the critical need for KALA – working at the intersection of Ethiopian-Israeli social change and LGBT community activism. 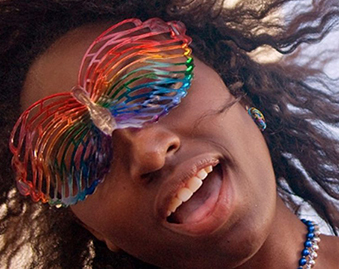 KALA was born eighteen months ago out of the necessity for LGBT support, community and empowerment in the Ethiopian community. 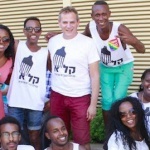 The emergence of KALA reflects an exciting development in Israel, in which LGBT activism and visibility reflects the country’s full spectrum of ethnic diversity. 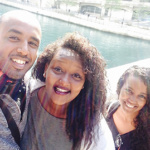 Yaniv, Sara and Liel, three of KALA’s leaders, will join with A Wider Bridge to share their personal stories as well as the critical need for KALA – working at the intersection of Ethiopian social justice and LGBT activism.